Typical accommodations might be with an Italian host family (a single person or retired couple) in a residential section of Florence or in a carefully selected apartment shared with up to 9 other students. If in an apartment, approximately 325 euros for the semester is paid directly to the landlord in cash upon arrival as a deposit for utilities. Housing is located within a 30-minute walk from the Study Center. The meal plan is one of the highlights of the Florence program, with almost 100% of students rating it “excellent” or “good.” Valued at approximately $1,700, as well as being incredible value for money, it gives you a unique opportunity to become part of the Florentine culinary culture, dining alongside locals in selected restaurants and trattorias or shopping in neighborhood grocery stores. You will receive 10 vouchers per week (five breakfasts plus five lunches or dinners excluding during excursions and school breaks) that can be used in restaurants, coffee shops, delis and supermarkets, giving you the flexibility to eat out or pool resources and cook in your apartment with your fellow students. Students who do not wish to receive the meal plan will pay a reduced fee of $14,795. 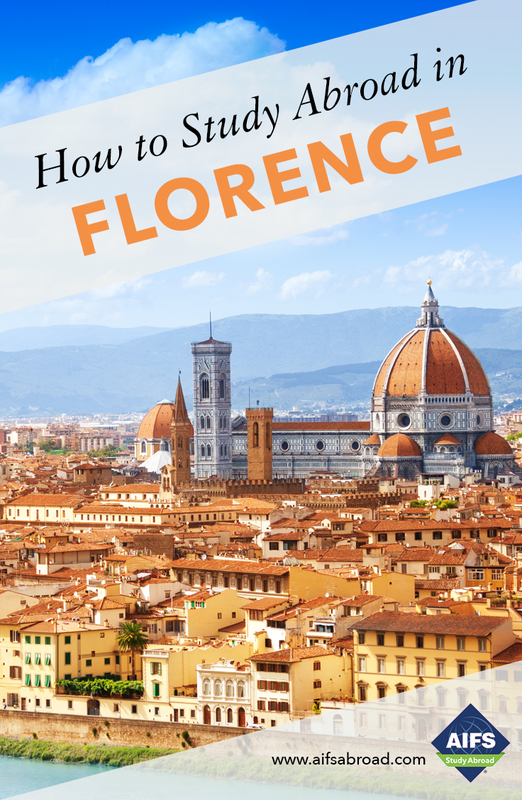 Florence has an extensive public bus system to get to and from classes and housing. Many sites throughout the center of town are accessible by foot. Students on the Internship Program use public transportation to get to work if necessary. Interns should budget approximately 50 euros per month for a bus pass. Volunteer work is offered to those who wish to take an active role in their local community. Placements are offered in a variety of different environments – schools, hospitals, museums, day cares, foster homes and fund raising associations. This is a great opportunity for students to improve their Italian language ability, to gain the confidence of the locals and to experience the heart and soul of Italian culture. Ciao! I have been working with AIFS since 1998. I was born in Malta and received my Laurea from the University of Florence. I also studied abroad, spending a summer in the U.S. In my spare time I love traveling and continue to enjoy comparing different cultures. My favorite aspect of being Resident Director of the Internship Program is seeing the "different light" that shines in students' eyes when the program is almost at the end. Studying a language in a foreign country is not just learning “one more language”, it is about opening your heart and mind to a new culture and experience of life.